When a journey ends, a new journey will begin. My journey with the old school domain joined and GPO managed devices within my LAB ended, and I finally conquer new areas with Azure AD join and Intune controlled devices. Due to the lack of opportunities, I still waited so long, because a lot of settings were not possible to set. 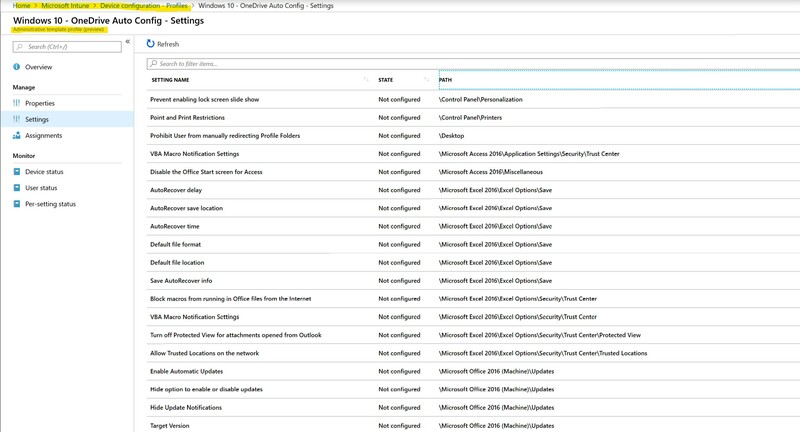 And some of them are still not that simple to set through Intune, but there is a solution for, I would like to say, most of the requirements. Let’s have a closer look to the different options. 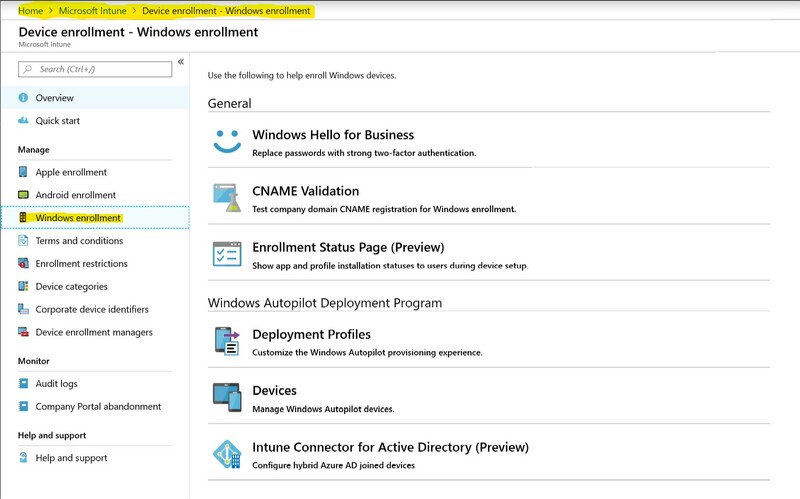 First of all, all Devices enrolled with Microsoft Intune receive enrollment settings. 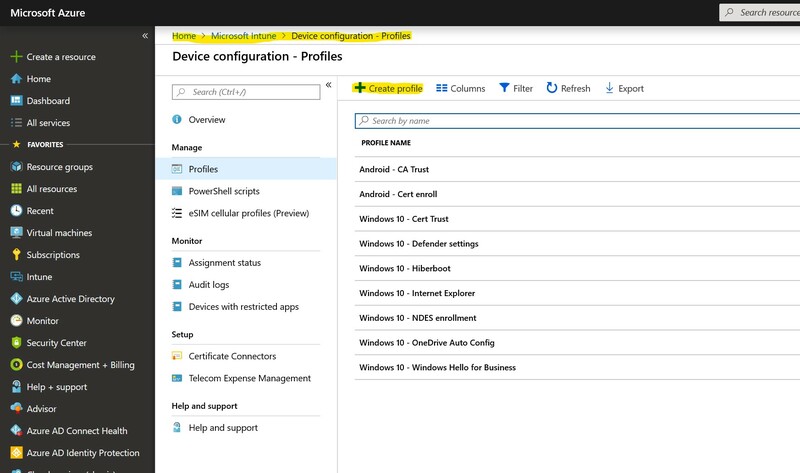 Here we can already configure basic settings what should happen if a Device starts to be managed via Intune. I highly recommend to check the Default settings, and also make adjustments to fulfill your requirements. This is fresh, and HOT! 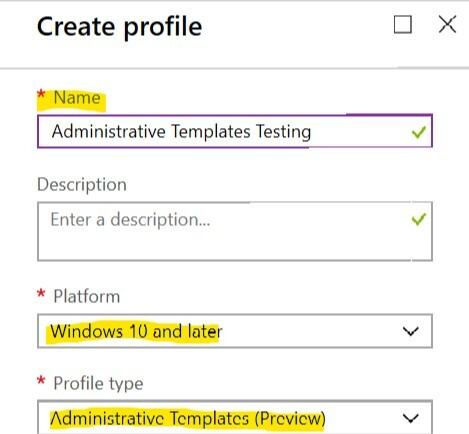 Those Intune ADMX-backed administrative templates helps a lot, if you need to transfer current GPO settings to Intune. With the search bar, you can check very fast, if your required setting is available within the administrative templates. Heads up with tracking the changes! Last but not least, you can create a PowerShell script, which will do all the required modification on the client. But I would highly recommend to avoid PowerShell scripts as much as possible, as the settings are not really managed with this solution. It is more a Fire and Forget solution, which might be valid for some use-cases, no doubt about that. 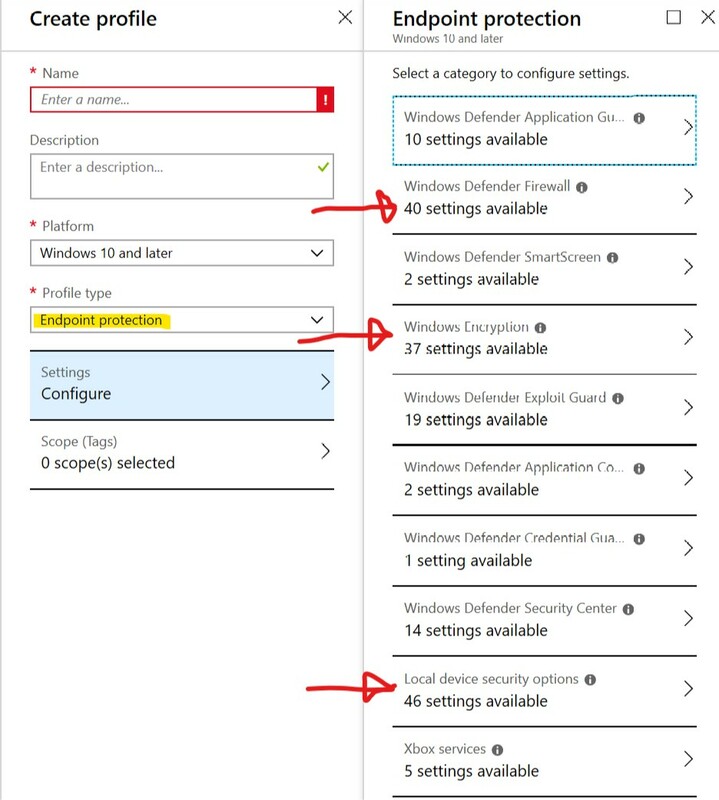 But in general, try to configure the required Windows 10 settings through the different Intune blade Options.